I’ve been thinking a lot recently about the way I look at plants. I think I was lucky, really, in studying the medicinal uses of plants before training in horticulture, because it meant that I was able to appreciate the greater scope and uses for a plant, regardless of where it came from. Some of my hort mates got a bit hardline; weed vs landscape plant, indigenous vs exotic and the rest… which is understandable, after you’ve dug up your thousandth oxalis bulblet of the morning. But, even during the time I worked in indigenous landscape regeneration, I never really hated certain plants in that way. I don’t think I could hate any of them. I know how delicate the balance of our ecosystems can be and how under-resourced our departments are- and maybe it’s the wafty dreamer in me- but I still get excited about the potential of all of them. This is Fuller’s Teasel, from the term ‘fuller’, someone who used the dried seedhead to comb out wool, and is also known as ‘brush and comb’ and ‘Johnny-prick-the-finger’ for its spiny stems. Even today, a cultivated variety of teasel is used in the textile industry in the manufacture of cashmere and velour fabrics. Teasel is also called the herbal ‘fracture healer’ for its ability to help heal broken bones and sinews and is used to promote energy and blood circulation and as a kidney and liver tonic. It is also used in floristry because of its amazing architecture. Noxious weed in Australia? Yes. 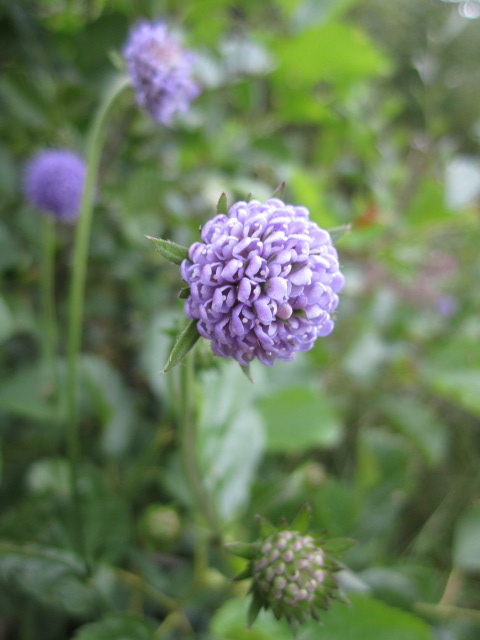 It spreads copious seed and competes with indigenous herbs, grasses and small shrubs. But a horrible plant? Not in my book. 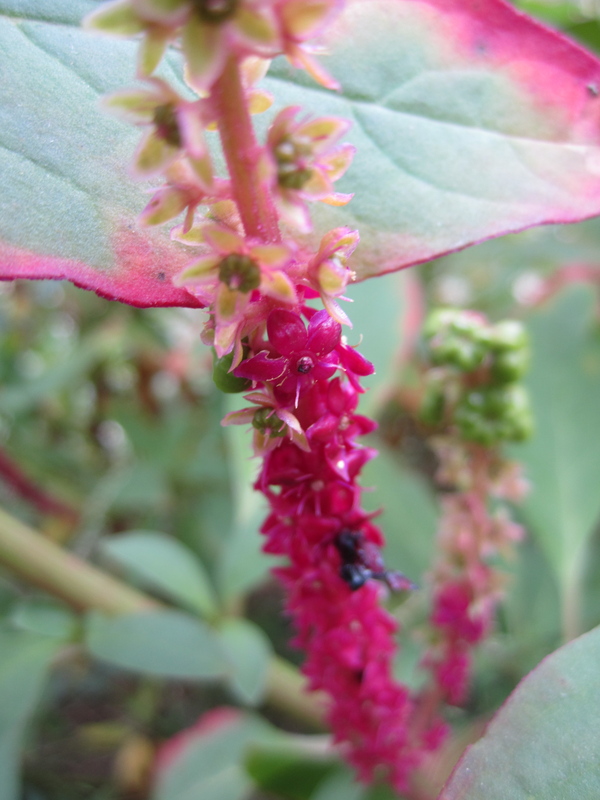 Another problematic weed is the exotic-looking Red-Ink Pokeroot, an escapee from tropical America that has become naturalized in parts of Australia. 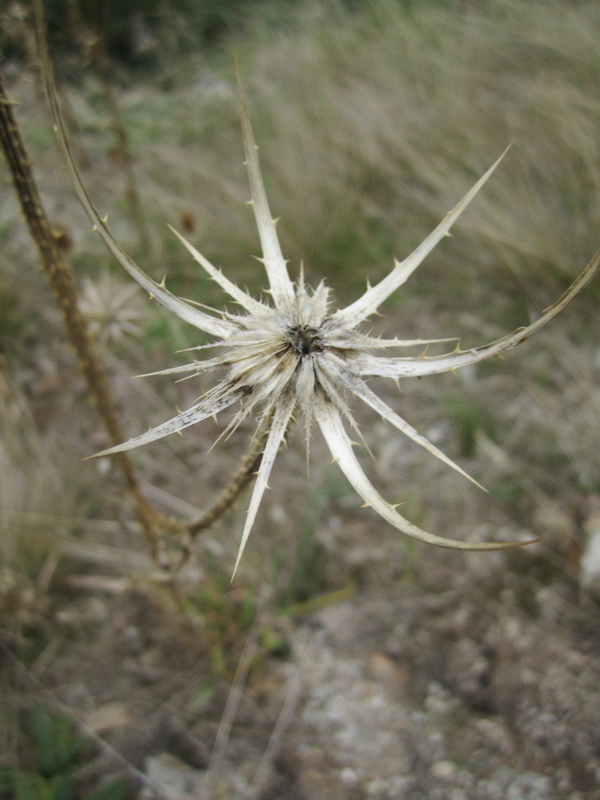 Like all pokeroots, the leaves and berries of this species are reported to contain toxins that are poisonous to mammals (such as Australian wallabies) but not birds, who unfortunately do a great job of spreading the seeds through bushland. 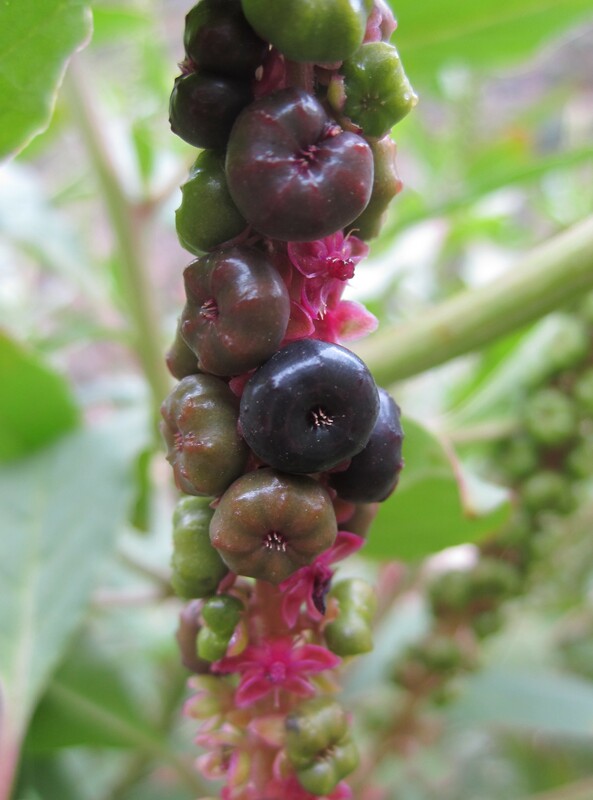 So not a great plant to have in Australia… unless you are interested in dyeing- First Nations people and early white settlers of the Americas used the strong red-blue pigments found in its berries as ink and textile dye (and, interestingly, some species of pokeroot, such as Phytolacca decandra, have been found to have medicinal actions- but beware of experimenting, as extreme care is needed due to the toxins found in the plant). And the list is long- all those plants that have arrived in Australia at various times… species that had proven themselves so important to our forefathers and mothers in other places that they were nurtured on the long voyage over in Wardian cases and the like- or seed caught inadvertently on someones boot that survived the journey and flourished once here. So many of them, plants like St John’s wort, mullein, fennel and hawthorn, are problematic weeds here but have so many properties that we can make use of, be they medicinal, dye-plant or other… if only we can see the plant as more than a weed. It has been a joy and an education to see some of my beloved medicinal and food plants in their own habitat- or somewhere where they are have been so long that they are simply appreciated as a plant, rather than vilified as a weed. It takes the pressure off, knowing that I can just enjoy them, rather than feeling torn about whether or not I “should” be. Peppermint in the forests of British Columbia, raspberries and red currants at New Lanark, bilberries and devil’s bit scabious in Perthshire. Just magic. But I’d also like to make use of those plants that are here, where they shouldn’t really be, to celebrate them as a resource and to do my tiny bit in reducing the problem. So I’ll be heading out more often and wildcrafting what I can find for dyeing and medicine making. A few of us are also starting a natural dyeing group and will be getting together once a month to play around with dyeing using materials that we collect over the month. It should be a wonderful adventure and will no doubt present more challenges that any of of us anticipate. Come along if you’d like! This entry was posted in outdoors, plants on June 28, 2011 by admin. 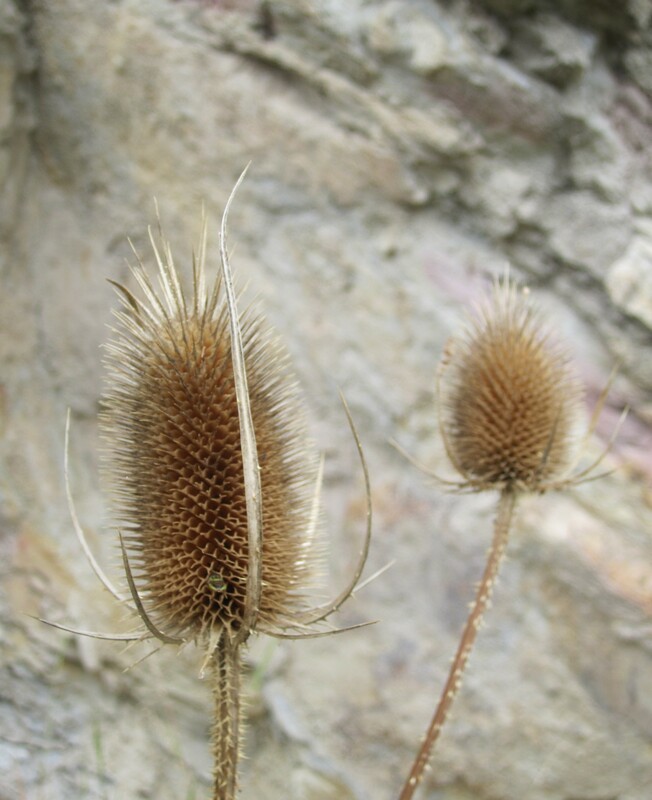 Interesting to see the teasel – I live in an area which used to be known for flax weaving and teasels are everywhere. Left over, I think from the days when the fabric was made here. 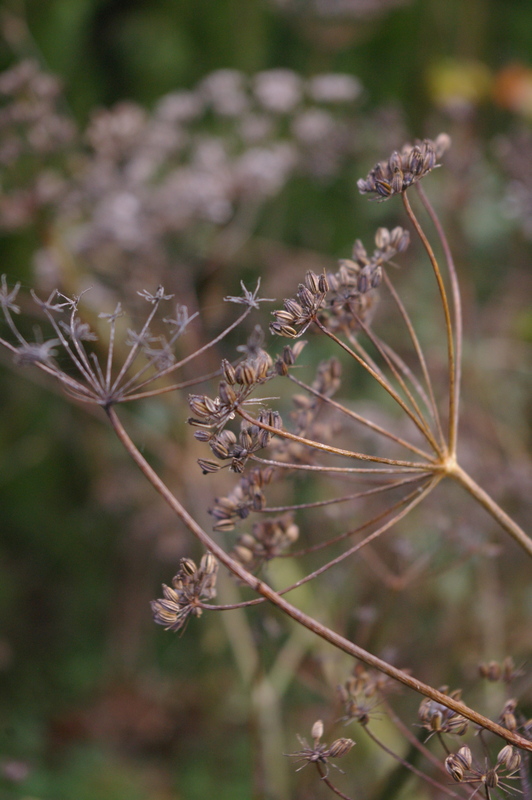 The birds love the seedheads and I think they are beautiful. Luckily we have a high tolerance for weeds in our garden! Oh, wouldn’t I love to try natural dyeing with you! I just bought a book on Navaho plants and dyeing and the big problem is just the amounts you need — bushels, it seems. But oh, so fun!